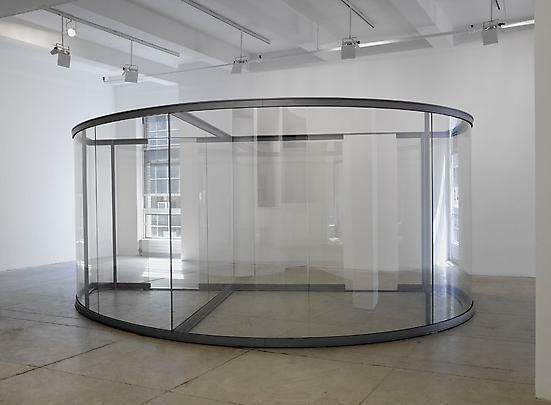 Marian Goodman Gallery is pleased to announce an exhibition of new work by Dan Graham which will open to the public Tuesday, March 3rd and will be on view through Saturday, March 28, 2009. 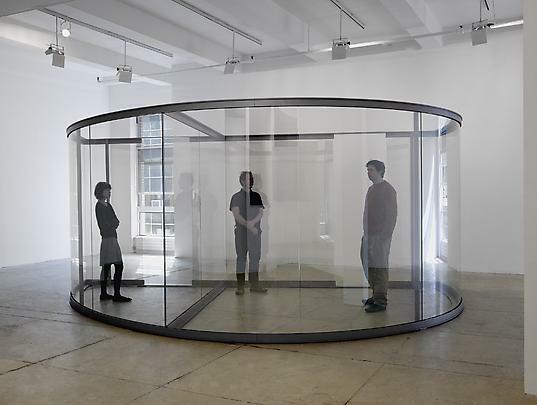 The exhibition will present Dan Graham's most recent pavilion, Crazy Spheroid: Two Entrances, 2009, as well as five models of pavilions recently realized in Europe, and a stage set created for a performance of the band Japanther, shown at Performa '07. 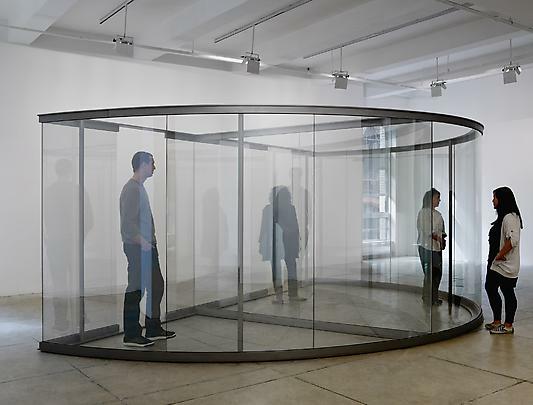 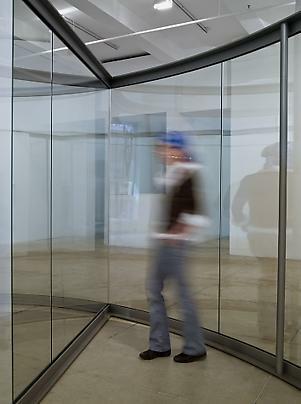 The gallery show will run concurrently with the artist's first North American retrospective Dan Graham, Beyond, which opens February 15th at MoCA, Los Angeles and will travel to the Whitney Museum in June 2009, and the Walker Art Center in the Fall 2009. 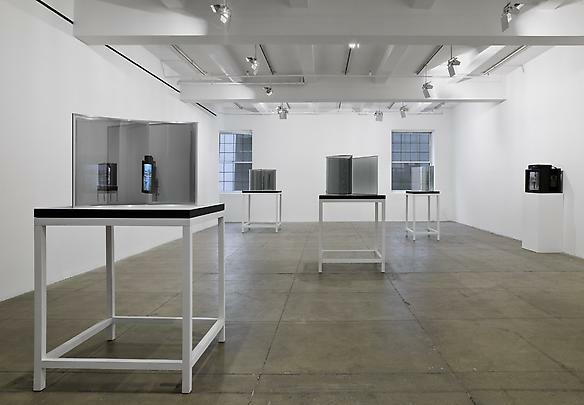 The retrospective will examine Graham's entire body of work in a focused selection of photographs, film and video, conceptual projects for museum pages, drawings, prints, and writings. 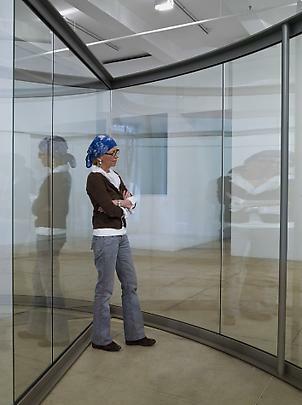 In the South Gallery the new pavilion, Crazy Spheroid: Two Entrances, 2009 will be on view. 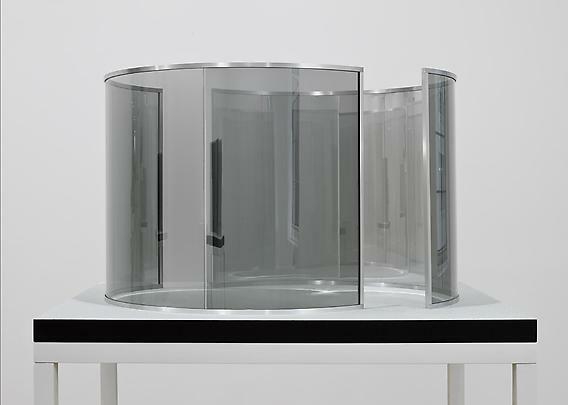 Made of two-way mirror glass and steel, utilizing the curved anamorphic surfaces that have had increasing presence in Graham's work, it has a certain affinity with Graham's earlier Public Space/ Two Audiences (1976), a container structure consisting of two rectilinear spaces, in which spectators were placed on display. 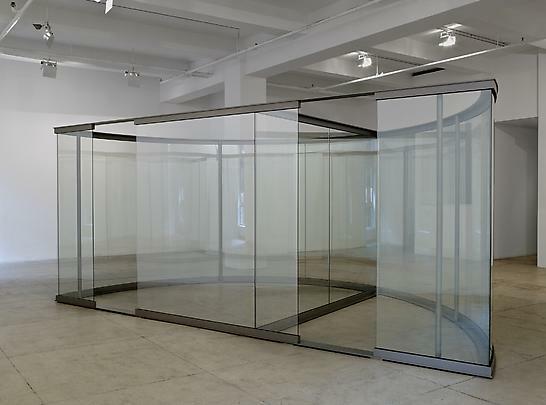 The new pavilion, says Graham, " is an eccentric space and one's expectations are confounded upon entering." 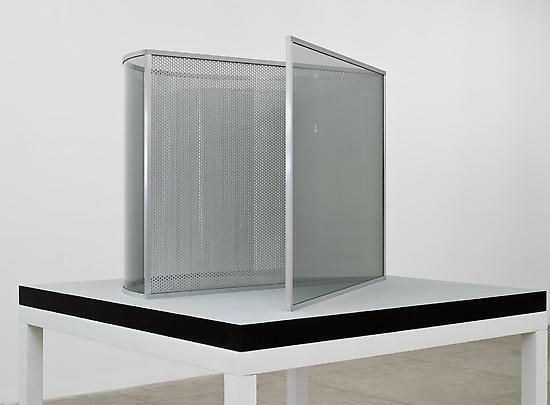 In the North Gallery five models for recent pavilions will include: 'Half Cylinder/ Perforated Steel Triangular Enclosure', 2008; 'Two V's'(2002/2005); 'Two Half Cylinders Off-Aligned' , 2000; 'One Straight Line Crossed by One Curved Line', 2007-08; and 'Half Square / Half Crazy', 2004. 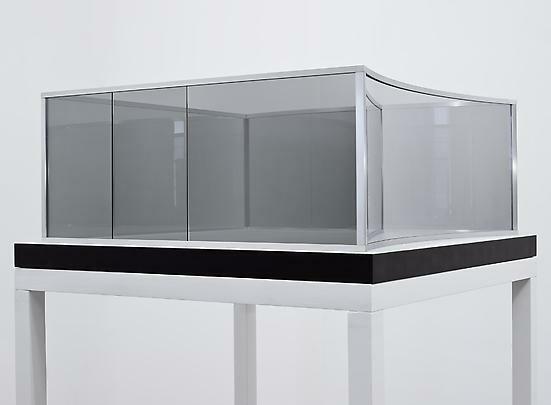 In the North Gallery Viewing Room will be the stage set made for New York based band Japanther's performance during Performa 2007. 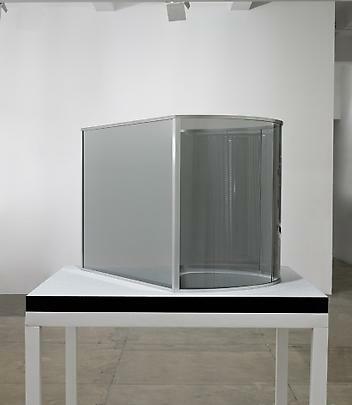 Dan Graham has collaborated previously with Japanther on the rock puppet opera Don't Trust Anyone Over Thirty: Entertainment by Dan Graham with Tony Oursler and Other Collaborators (2004). 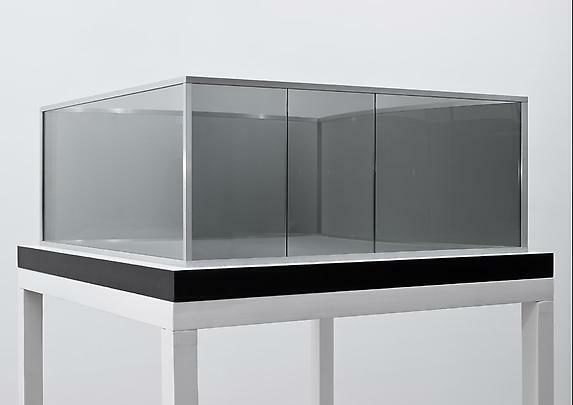 Graham's last exhibition of models and pavilions was seen at the gallery in 2000. 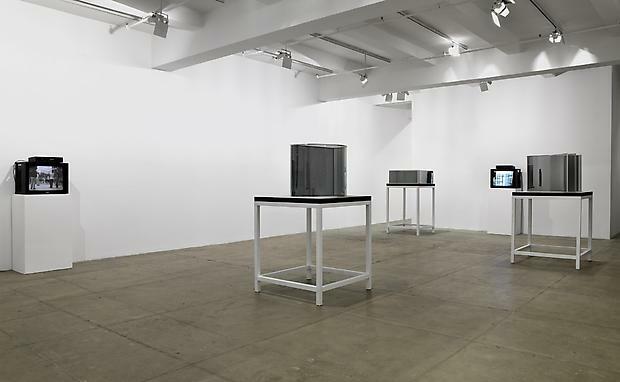 In 2002 the gallery presented the artist's seminal films of the late 60s and early 70s. 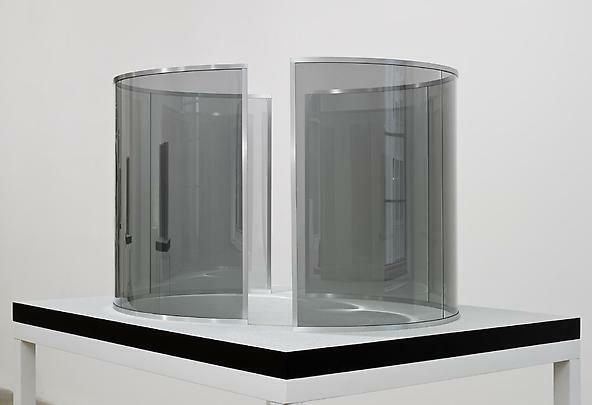 In the early films, the mutability between observer and observed can be seen as an antecedent for the duality of transparency and reflection that comes later in the pavilions – in the reflective anamorphic surfaces which are both transparent and mirror the surrounding landscape, and provide a break with rectilinear form. 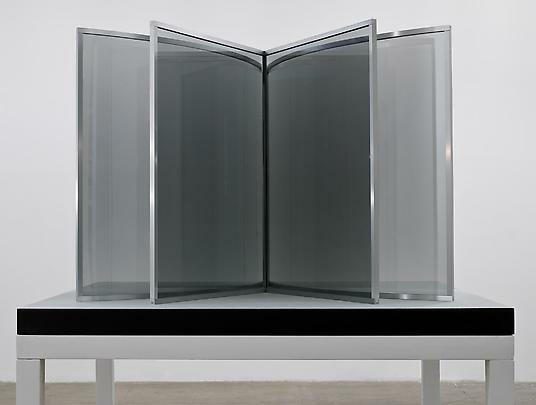 Democratically rooted in everyday urban life and activity, Graham's pavilions are functional structures, hybrids between sculpture and architecture. 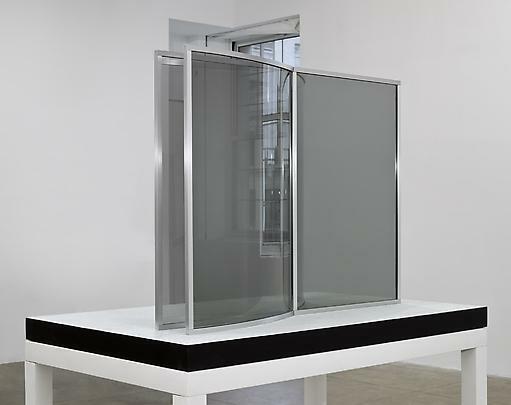 They have sources in architecture and urban design; the skyscraper and two-way mirror corporate office buildings; 18th century English landscape design; the folly & the picturesque; elliptical neo-Baroque space and the Rococo. 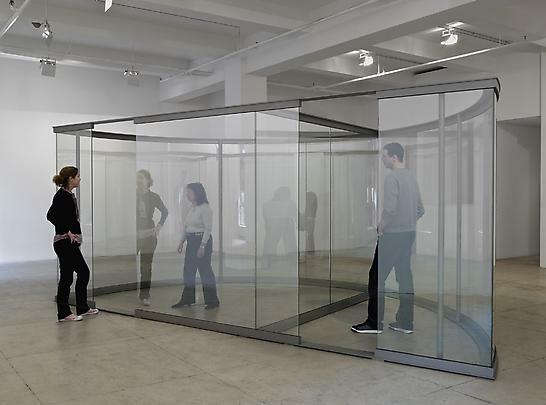 The five models on view continue a practice that began in the 1970s when Dan Graham began exhibiting his models in museum and gallery spaces as a body of sculpture, either preceding or following the built pavilions. 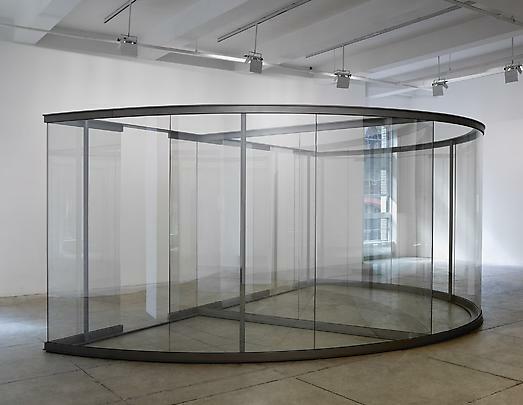 Other realized pavilions by Graham include: From Mannerism to Rococo (2007); Yin/Yang Pavilion (1997/2002), MIT, Cambridge, MA (in Steven Holl's dormitory); Bisected Triangle Inside Curve, Madison Square Park, New York (2002); Waterloo Sunset (2002-2003), The Hayward Gallery, London; Homage to Vilanova Artigas (2006), the Sao Paulo Biennial 2006; Skateboard Pavilion (1989); Children's Pavilion (1989-91); Café Bravo for Kunst Werke, Berlin (1998); and Rooftop Urban Park Project for Dia Arts Center, NY (1981/91). 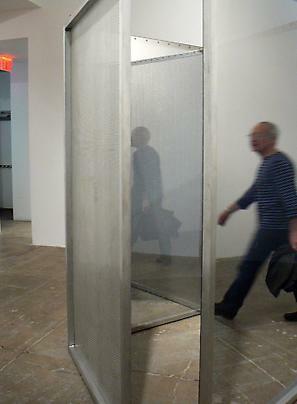 Recent solo shows of Graham's work include exhibitions at Marian Goodman Gallery, Paris; the Arthur Ross Architecture Gallery, Columbia University, New York (2007); Don't Trust Anyone Over Thirty (2004), which premiered at Art Basel Miami Beach (2004), and was shown at the The Festival of Vienna, Vienna, and the Berlin State Opera (2005) and the Walker Art Center, Minneapolis (2006); and Dan Graham by Dan Graham, Chiba City Museum of Art, Chiba and Kitakyushu Museum, Fukuoka, Japan (2003). 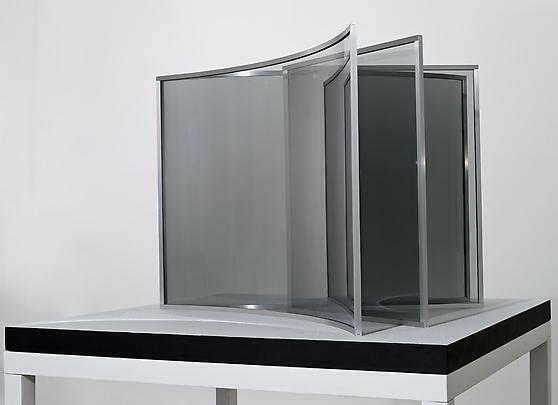 In 2001-2002 a major retrospective survey (and an accompanying catalogue raisonné, Dan Graham: Works 1965-2001, published by Richter Verlag), was seen at the Museu de Arte Contemporanea de Serralves, Porto, Portugal; the Musee d'Art Moderne de la Ville de Paris; Kroller-Muller Museum, Otterlo, the Netherlands; Kunsthale Dusseldorf, Dusseldorf, Germany; Kiasma, Museum of Contemporary Art, Helsinki. 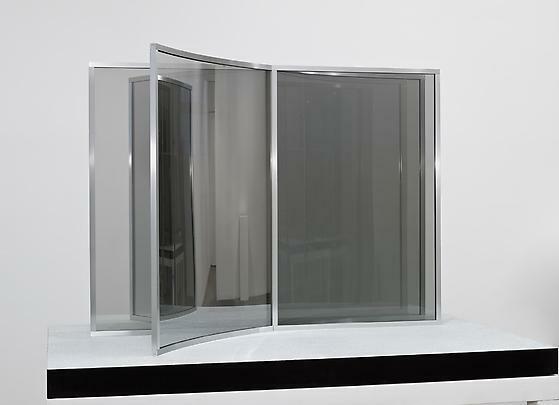 Dan Graham's work has been exhibited widely, at the Museum of Modern Art, New York; the San Francisco Museum of Modern Art; the Whitney Museum of American Art, New York; Centre Georges Pompidou, Paris; Documenta VII, IX, and X in Kassel; Skulptur Projekte '87 and '97, Münster; the Museum of Modern Art, Oxford; and the National Museum of Modern Art, Kyoto and Tokyo. 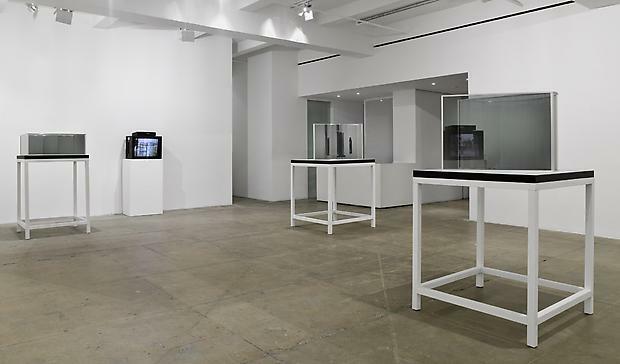 Please join us at the opening reception on Tuesday, March 3rd, from 6 – 8 p.m.